NorthSide is Denmark’s fastest growing music festival with an international music profile. The festival is located in the heart of Aarhus, and distinguishes itself by being urban. NorthSide wanted a new, unique, and simple visual identity that could easily be stored in the memory of the target audience, of which nearly 60 % are women. 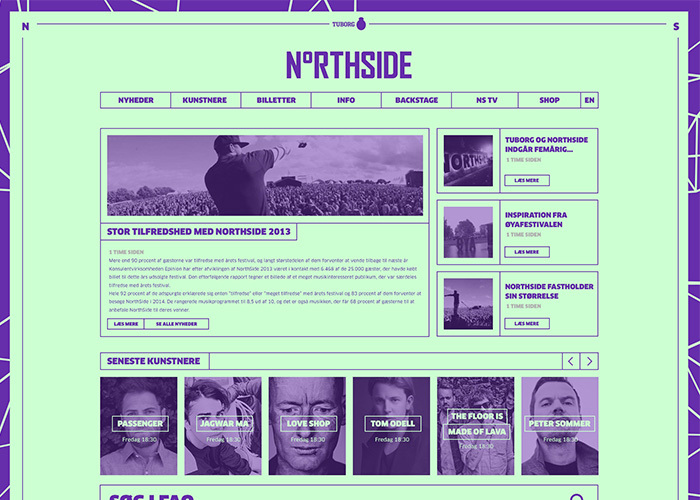 The site is designed in order to support NorthSides brand as a modern festival with a strong identity awareness by making use of few but striking colors and a large typography.